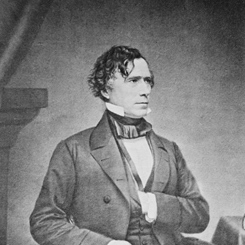 Image courtesy of Library of Congress Before becoming President, Franklin Pierce served as both a Representative and Senator from the state of New Hampshire. Technologies have revolutionized the way information is disseminated from the halls of the House of Representatives to constituents in their districts. Read more about electronic technology in the House.